Today we welcome author D.B. Neilsen! A powerful, hidden artefact is unearthed and, with its discovery, an ancient conflict is reignited. Seventeen-year-old Sage Woods, the daughter of an eminent archaeologist, uncovers the artefact’s disturbing secret and is placed in terrible danger. 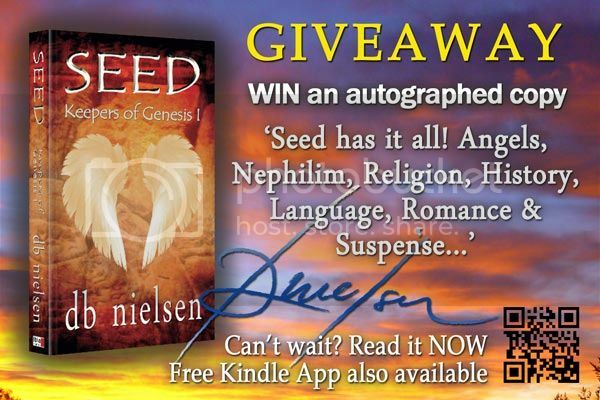 Unwittingly, she has stumbled into an invisible war between two primordial dynasties of a supernatural order – a war in which she has a fateful role to play in a race to control the power of the SEED. Welcome to the group and blog! Take it away! The first novel took very little time to write – a matter of months. But each successive novel takes me between a year and eighteen months. I think, in part, it’s due to all the research. There’s a lot of ancient history and religious elements (angels and demons) in my novels, so I take time to ensure that those aspects are as accurate as possible. To be honest, writing might take less time if I didn’t have a million distractions!! This will sound crazy but I dream them. I wake up the next morning and quickly write down what I can remember. 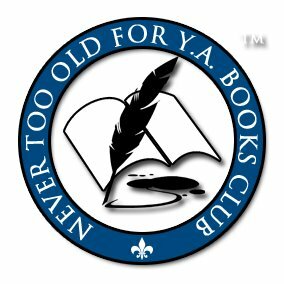 I have pages of ideas for novels (everything from paranormal romance to dystopian fiction). Some ideas have been bubbling away in my brain since I was in high school. Other ideas come from reading – I wonder what a minor character’s life might have been like and start filling in the backstory. Life is made up of stories – everyone has a story – the art of the writer is to record them and add a bit of imagination. I wish! I admire writers who can write 2,000 words a day and stick to a schedule! I’m more a stop-and-start, when-the-mood-takes-me, bash out a chapter in a day then take a hiatus for two weeks, get some inspiration from other authors/ reviewers/ readers and bash out another few thousand words, get distracted by my family and grind to a stop (swearing in frustration because I want to write but have to prioritize), then do it all over again. On the up side, I do have a plan of where I want my novel to go and work around that. I always have a mental map of about half the chapters (including the beginning, climax and denouement) and let the rest work itself out. With difficulty!! No, I’m kidding – in all honesty, I think that I happen to be slightly OCD, meaning that I like things organized. I have a fear that if I didn’t stay on top of things, it’d all come crashing down. Family comes first always. Life has a habit of taking over, so you have to go with the flow. When I have writer’s block, I turn to mundane things like housework or cooking (which I love – I love to bake) to allow for fresh ideas to sweep away the cobwebs. I’m so lucky to have wonderful friends and family too that keep me grounded but also encourage me as the pressure of relentless deadlines mount. I have a wonderful family that picks up the slack when I let the reins go or the wheels fall off. Passion and romance. Adversity. Conflict. Complications. Characters that you fall in love with (and take on a life of their own) so that there is a character arc/ development. I don’t think there is a simple answer to this question. I guess I know what I like to read. And it all starts with being a reader. What that means to me is that when I read a book, I want to feel satisfied and fulfilled at the end – that the novel has met certain genre expectations but that the author has manipulated or subverted certain conventions to make the story line more interesting. Like all readers, I want to become invested in the characters – to have them make me laugh and cry. To cheer for them. And to have a book boy/ girlfriend – my fictional crush whom I can romanticize over. That’s what makes a great story line to me. Editing. When you edit, you realize how bad or good your sentence/ paragraph/ page/ chapter really is – whether there’s too much purple prose or too much historical detail (and so it sounds like a history textbook or tour guide) or too little description of setting or … or … well, you get the drift! The only thing worse than editing is the anticipation of feedback from your Beta group. Will they like it or won’t they? What if they hate it? It’s the hardest thing and the scariest too, because you sometimes doubt yourself and your ability to write – until you hear back from them and realize it’s better than you thought. 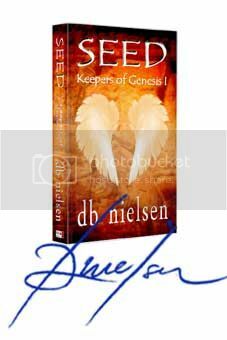 I have written three books – one published (Seed: Keepers of Genesis I) and two in the editing stages (Scroll: Keepers of Genesis II and The Department of Dead Letters – a different series). And there’s another on the way (Sword: Keepers of Genesis III which I’ve only just begun writing). Do I have a favorite? Oh, tough question! I loved my first novel and it was my favorite – until I finished my second novel … do you see where this is going? I’m sure my next novel will be my favorite … until I write the one after that! Why are these questions so difficult??? Lol. I guess I love Saffron (see book two in the Keepers of Genesis series) because she’s everything I’m not but would like to be – daring, feisty, adventurous with a ‘street smarts’, whereas her sister, Sage, is a character I can empathize with more (she’s bookish and a nerd). I love St. John as he’s so mysterious and alluring (a real Renaissance man) but Gabriel makes me laugh more as he’s quite irreverent and cynical yet charming. In my ‘library’ at home. It’s cozy but is very much the Victorian reading room. It’s private (about the only room in the house that is private!) and quiet. It gets lots of natural light and also has its own fireplace. It’s my favorite room in the house. Essentially I’d like to be a ‘hybrid’ – both traditionally published and also self-published. Right now, being an Indie writer suits me as it gives me a great deal of freedom, but I’m lucky in that I have a great deal of support from fellow authors, readers, family and friends, and my agent. And I think I’m in good company – not only have a lot of successful authors started in Fanfic which has broadened the industry (such as Cassandra Clare, E.L. James, etc…) some of them started with self-publishing then moved into traditional publishing (most notably, E.L. James). I didn’t write Fanfic but I think it’s great that there are avenues for writers to express themselves and get their words and works out there. I’ll continue in this direction and reassess when I get my next novel out there. My family are my biggest fans. I have several members who are just awesome Beta readers – they are critical but encouraging and that really gives me the inspiration and support needed to write. But not everyone in my family is a reader. My younger brother hasn’t and probably won’t read my first series – the Keepers of Genesis series is paranormal romance and he likes to read thrillers like James Patterson and Wilbur Smith novels. My older brother thinks there’s too much romance (hmmm…. that would be because it’s paranormal romance) but he enjoyed it for the history. I think, at times, it’s difficult for family members to divorce the author from the novel – when they read my books, they think of me and, perhaps, read too much into characters or situations by trying to find real-life equivalents (for the record, the only similarity is that I’ve been to most of the places depicted in the novel so I can write from some small experience). I also love cooking, especially baking – cakes, brownies, cookies, scones, etc… I find it relaxing – almost like therapy. I love throwing parties and dinner parties. Themed parties are my specialty. I threw a costumed medieval party once – complete with entertainers such as a magician, a couple of knights in shining armor who dueled in the hall, a fire-eater, a glass-blower, etc… It was a fantastic evening and everyone went home with a hand-blown glass gift. I love spending time with my family and travelling or chilling with them on a weekend or lazy afternoon after work. This is the most rewarding free time I have. And I confess to being a shopaholic – I love to find bargains (but mainly buy for others rather than myself). Christmas and birthday shopping is so much fun – I love buying the right gift for the people I love. Don’t think about it, just do it. I think most writers would tell you that writing is a compulsion; it’s something you must do. Most writers don’t do it for the fame or money – the unheard of sums that J.K. Rowling or E.L. James have made from writing would be awesome but they do it because they love it. They have a story and they want that story to be told. So if you feel compelled to write, that’s what you should do. But, before you begin, you must know the story you wish to write. I always believe it’s important to know the ending (it gives you direction in your writing). I like to know my characters as intimate friends (even though they are fictional). And I edit as I go. But we all have our different styles – the main thing is to find your own and stick with it. 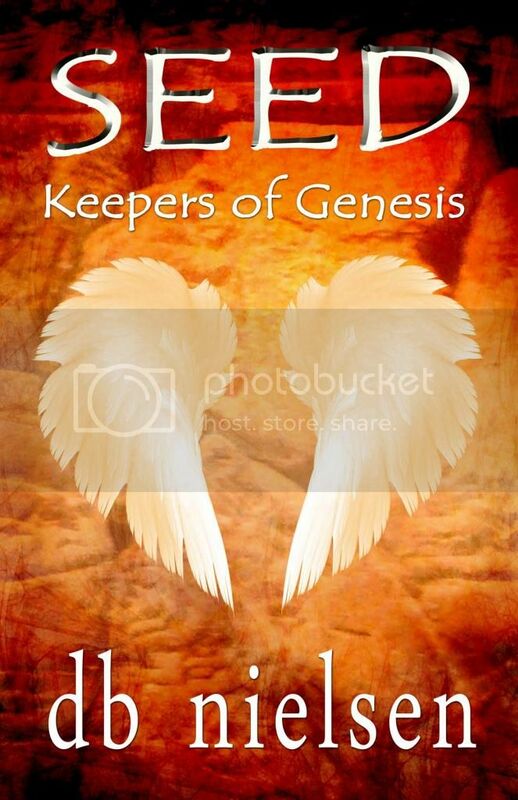 The authors who inspired me the most to write the Keepers of Genesis series were JK Rowling and Stephenie Meyer. I don’t usually get help with the story lines apart from the historical elements which I try to make as accurate as possible (though I do love to hear what my readers want to read more about – what characters they like and want to see more of, what romance parts need to be extended…). I do have a group of Beta readers of family and friends and fellow authors whom I rely upon for feedback – I think it’s important to know if you’re consistent (or if there are gaps and holes in the plot) or whether certain scenes are too little or too much, whether you need more information or character development in parts (even for minor characters) and so on. For instance, I included more or Fi’s eating disorder in the first novel than was previously intended, and developed the backstory a bit more (especially of Sage and Fi’s childhood quests) because the Beta readers suggested it – so I do take their advice on board. I think it’s a nerve-wracking process when you first let your book out of your hands – you don’t know what reception you’ll get and you need the affirmation of others to provide balance and sanity. After all, you’re offering yourself up on a platter in some ways – you’re putting yourself out there. And you love your characters, so you want others to love them just as much as you do. This is especially true when you have a love triangle – you want feedback from the Beta group and readers about which ‘team’ they’ve joined and why – it could influence the direction you take. Thanks so much for being here today. It was great having you!